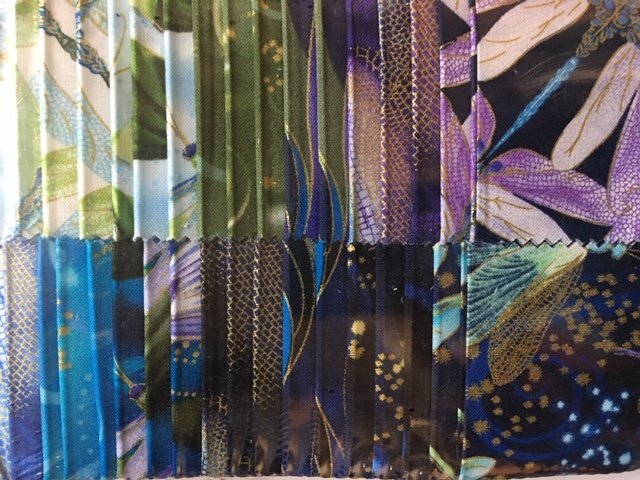 Pack of 40 strips of Dragonfly Dance fabrics by Kanvas Studio for Benartex Fabrics, in blues / violtes/ greens. 100% cotton with metallic accents. Strips are cut 2 1/2" x 42". Great for Jelly Roll / Strip projects!